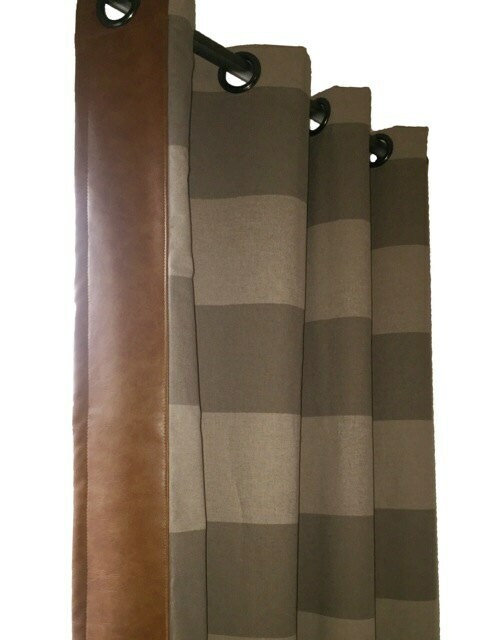 Listing is for a cabana stripe grommet style drape in your choice of fabric with brown recycled leather trim. Drape is lined with a high quality thermal suede lining. 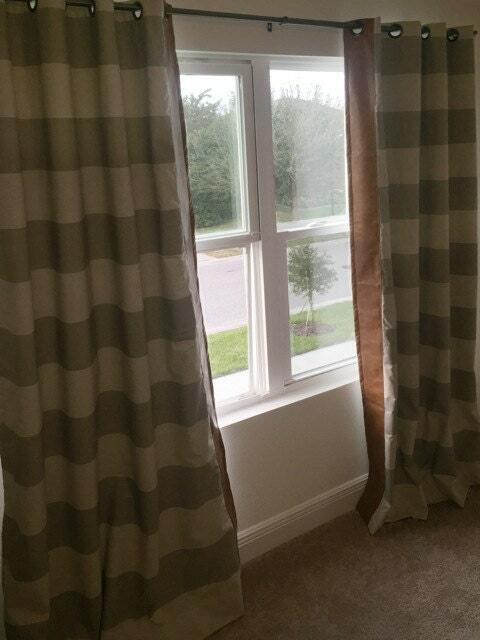 Trim is along the inside edge of each drape. 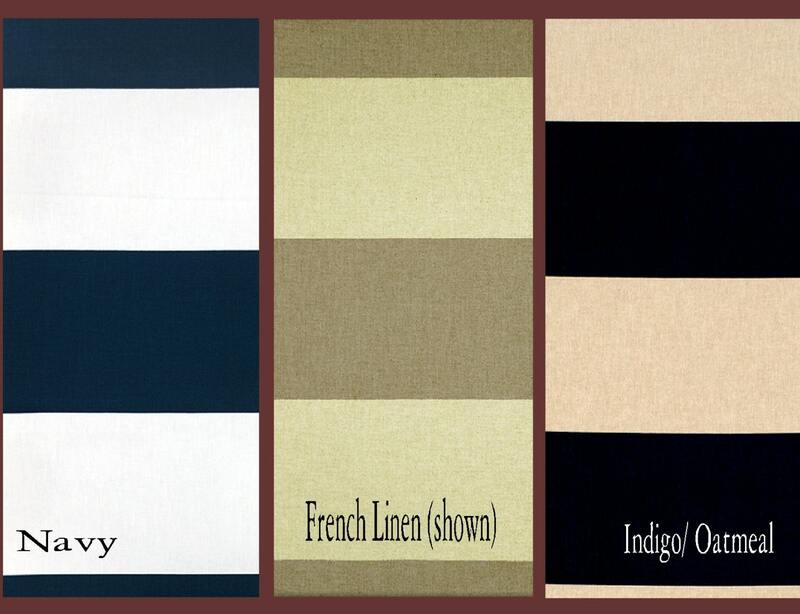 These drapes coordinate with many fabrics and are available in any of the colors shown. 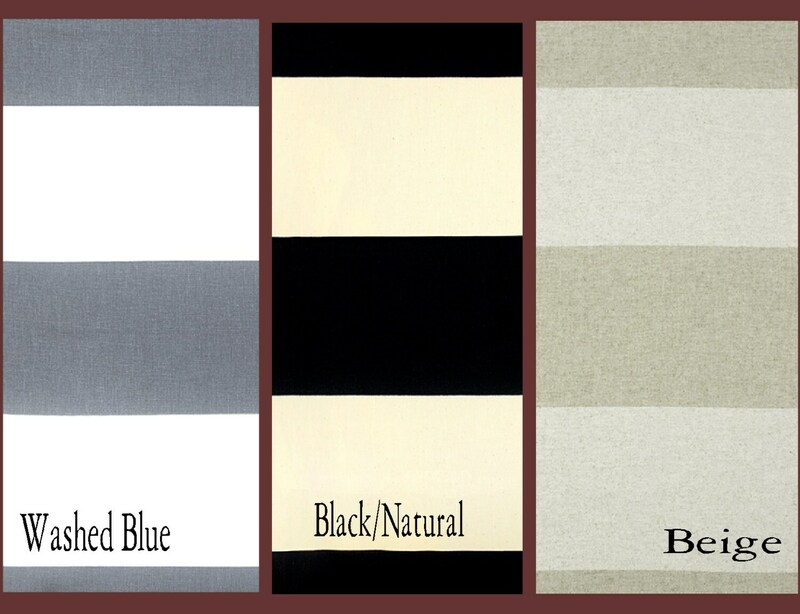 Custom listing is for each grommet drape with thermal suede lining in one of the color choices. Other drape styles can be done by clicking the links to add to cart below.